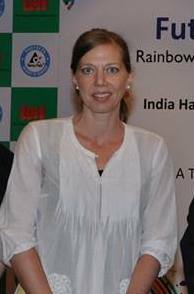 Sara joined the Swedish Chamber of Commerce as General Manager in the beginning of 2014 but has been associated with India since 2003 and this has now become her second home. After holding several managerial positions within Ericsson in both Sweden and India, Sara left the corporate world in 2007 to work with an NGO in Delhi dedicated to women and girls that have been trafficked, children with HIV/Aids, school projects, and income generation work. Together with friends, she established a program focusing on Value Education in schools and colleges. During the last couple of years, Sara has had one foot in the corporate world, working part-time as a consultant, and rest of her time supporting community development initiatives. Dolly has been with the Swedish Chamber of Commerce India since February 2011, working extensively with marketing, communications, administrative activities alongside building customer and inter-Chamber relations. She is now managing operations and events at the Swedish Chamber. Prior to joining SCCI, Dolly dabbled in Sales & Marketing at Le Meridien New Delhi and also worked as a fashion correspondent at VOGUE India. Karan joined the Swedish Chamber of Commerce India on May 7, 2018, as the Project Manager. Before joining SCCI, Karan worked with diverse backgrounds from both corporate, consultancy and most recently from the non-profit sector, where he functioned as a program manager working with community development focused on health care.